Madison Heights, a 16-bed memory care and assisted living facility, has broken ground in Enterprise. The $2 million facility will be located on Chaney Street across the street from Kelley Place, both of which are owned by Atlas Senior Living. Chaney Street is located off of Dauphin Street. Atlas Senior Living took over management of Kelley Place in January 2015 then purchased it in January of this year, said Wyman Hamilton, one of the owners of Atlas Senior Living. The new, 12,000 square foot facility is expected to fill a large gap in memory-care services in the county. Currently, Kelley Place, which holds 16 beds, is the only facility of its kind in the county, Hamilton said. “The state recommends this county needs 35 to 40 apartments (offering these kinds of services,) so this should help fill that need,” he said. Hamilton said Kelley Place already had a waiting list. Madison Heights is scheduled to be complete in November and could open to residents in January 2017, Hamilton said. 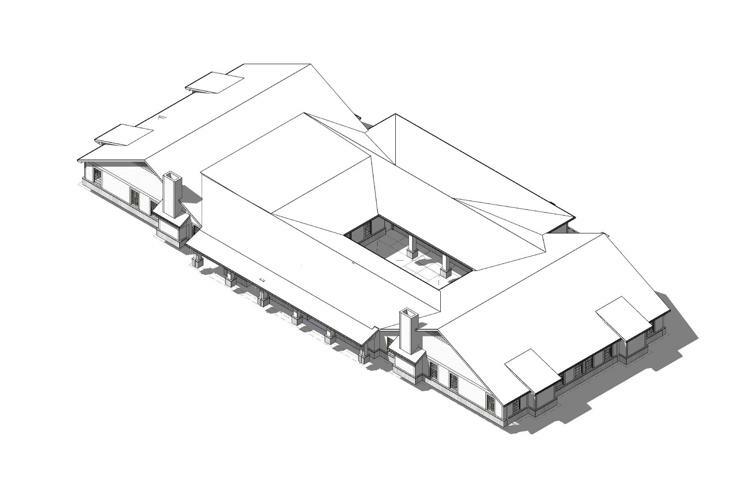 The new facility will include a commercial kitchen and a courtyard in the center of the building.